Observation - POLLEN COVERED BEE - UK and Ireland. 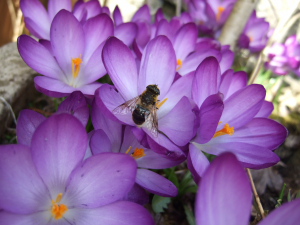 Description: A unknown bee that visited crocuses in bright sunshine collected a lot of pollen in process. A unknown bee that visited crocuses in bright sunshine collected a lot of pollen in process.